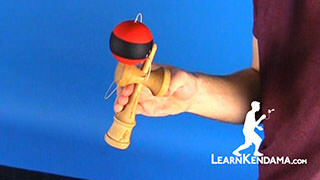 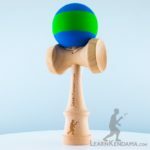 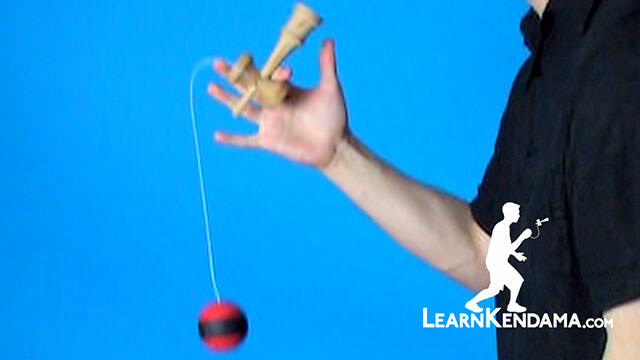 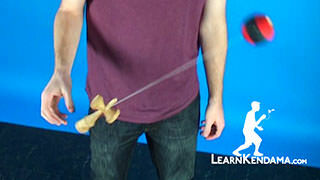 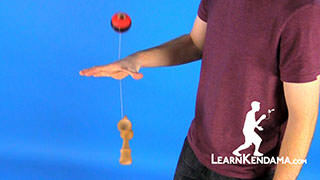 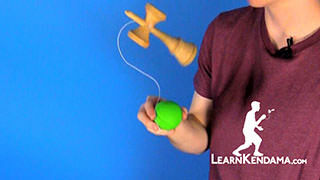 Learn the High Noon Kendama Trick. 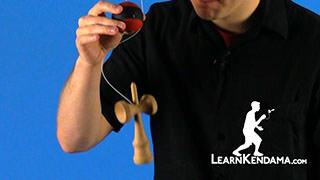 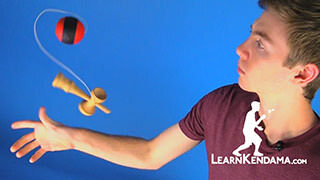 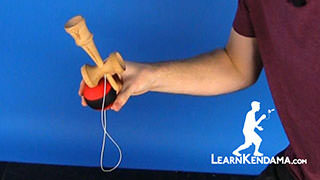 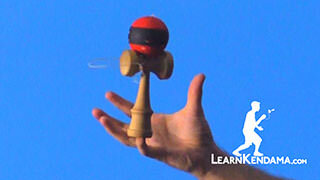 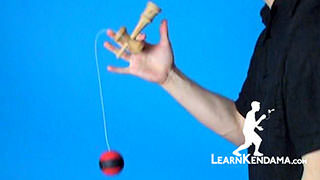 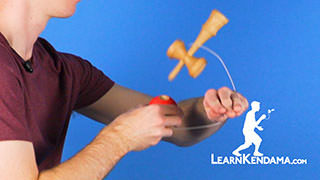 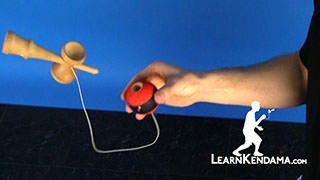 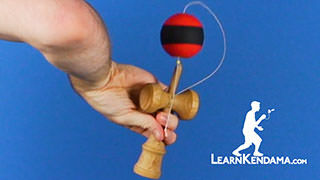 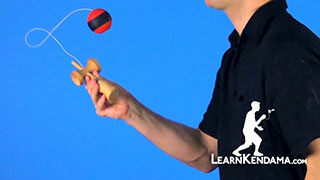 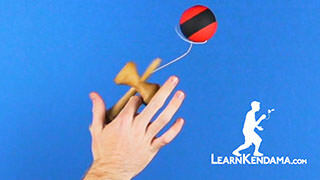 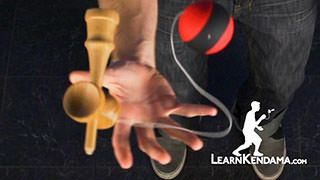 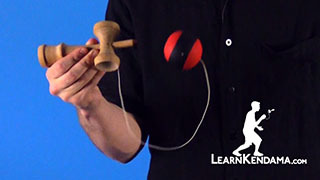 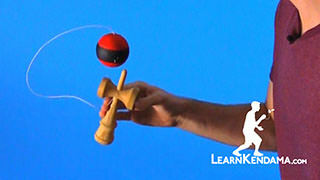 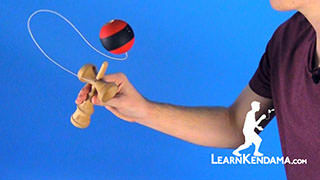 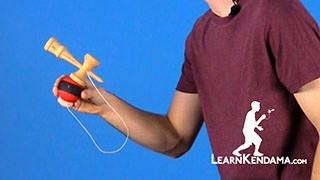 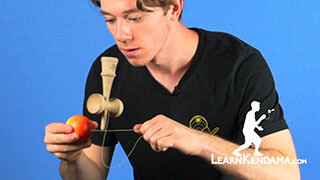 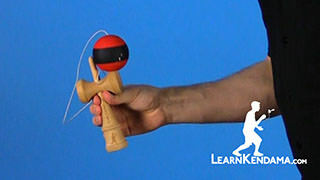 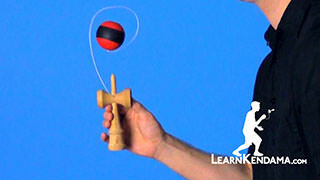 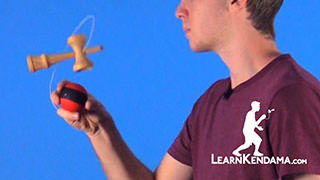 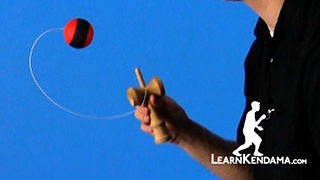 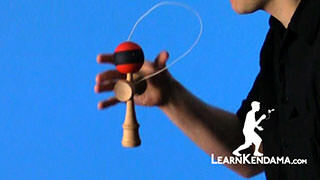 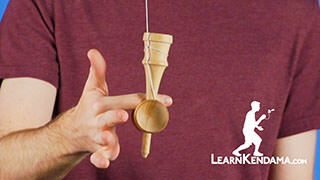 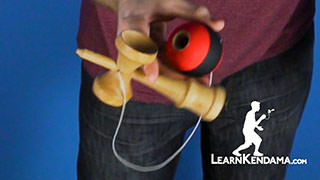 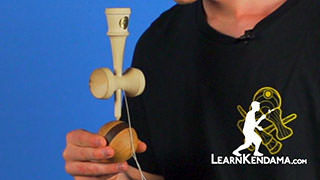 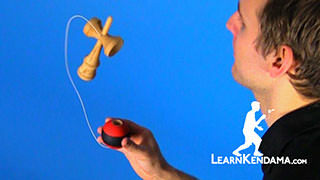 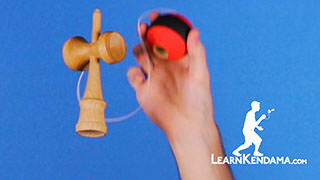 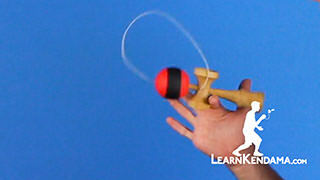 High Noon Kendama TrickIn this video we are going to learning the kendama trick known as High Noon it looks like this. 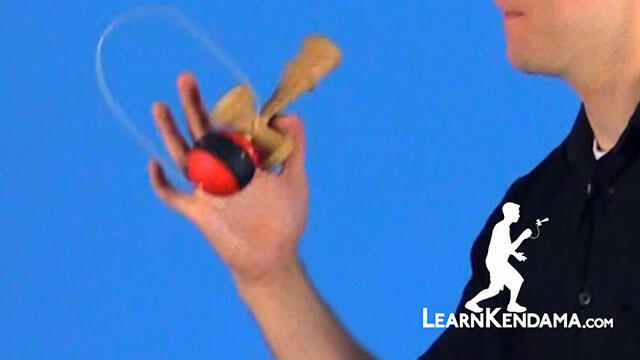 Now, in order to do this trick, you need to know Gunslinger and Revolver, so if you do not know those tricks make sure to check out the previous videos on those. 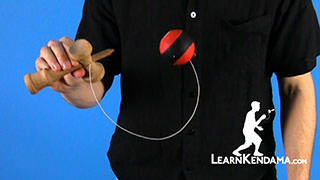 So to start off you are going to hold it in a Revolver grip, with your index finger around the small cup and we are going to be learning a new technique. 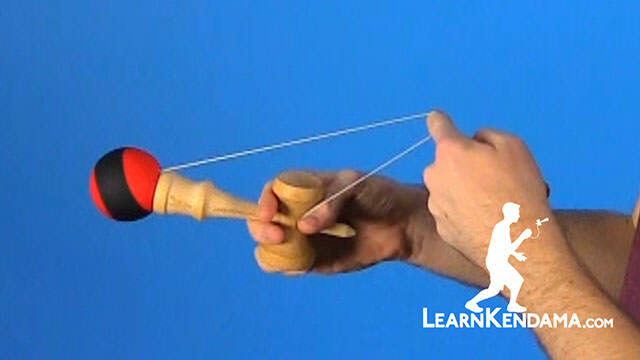 To start this off you are going to have your index finger of your non dominant hand out and your palm up and you are going to wrap the string on top of it like this. 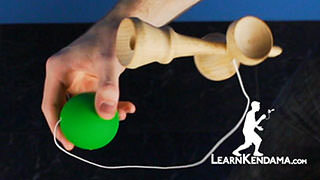 Now what we are going to do is we are going to swing the ball in towards our body we are going to curl in our index finger while simultaneously pulling our hand down and re-extending our index finger so that it lands with the string on top. 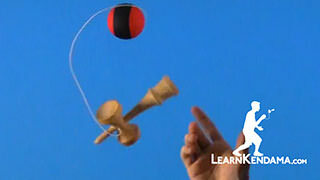 To see it all in one motion it looks like this. 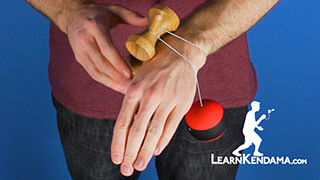 You might have a little trouble doing it if you do it step by step because you might extend your finger wrong so you end up with a wrap, so you want to make sure that when you extend your finger you extend it to the outside and kind of just point your finger towards the out of your body. 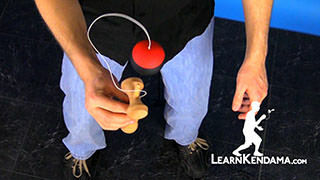 It should prevent a lot of the twisting, so just practice making sure that you have this just like this. 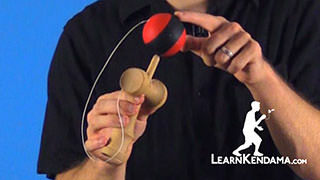 So the next part after that, you are going to swing and as its coming out you are going to pull the string and catch the tama on the bottom cup like this, now you should still be in your Revolver grip so the Ken is horizontal and you can see that because I am pulling the string it is causing the ball to stay on the base cup like this. 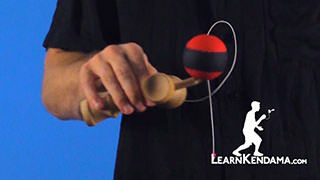 So practice just bending your knees and pulling the tama onto the base cup and once you get that you are going to point the spike down and the base cup up and you can let go of the string now. 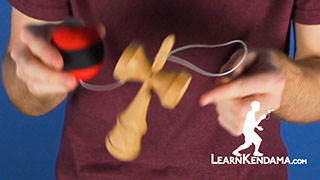 You will notice that every time you do this that the tama is going to be in the same spot with the string at the edge of the cup and the hole is going to be almost perfectly straight up and from this point what you want to do is you are not going to pop it up at all, you are simply just going to rotate your hand and turn the spike facing up and when you do that it causes the ball to rotate down and you want to try to catch the tama right at in line with your hip and that allows you to land it on the spike a little bit easier. 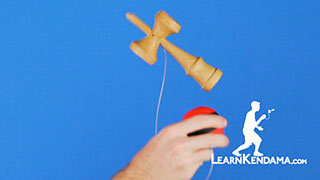 Then, once you land it on the spike you are just going to perform a simple Gunslinger, like this and land back in the ken grip, and that is how you do High Noon.